Gracia is a charming neighbourhood not far from the centre of Barcelona. Less than hour from El Prat airport by public transportation, this stylish bohemian area of the city is a top choice for musicians, students and artists. You’ll get a feel for the modern charm of the area which is nicely juxtaposed with the 1800s history when the neighbourhood was mostly built. Among the homes are plazas, cafes and parks that showcase the views of Barcelona down below. Staying in Gracia is a superior choice because you will have your pick of quiet solitude mixed with plenty of attractions. The streets are studded with dining opportunities that can’t be missed. Sants Station is a 20-minute ride away, giving you transport connections for the chance to see everything the city has to offer. There is plenty of nightlife and lots of opportunity to party in this little treasure on the hill above Barcelona. 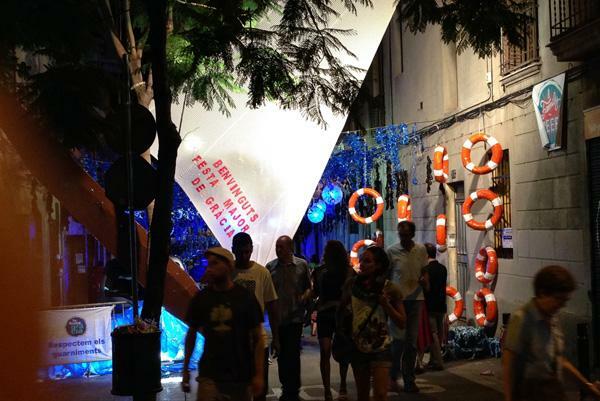 Gracia is home to several community celebrations, including La Festa Gracia, a street party that lasts for seven days and seven nights and features a competition for the best street decorating. You’ll also find a plethora of cafes and bars on street Verde, enabling you to sample the drinks and cuisine any time the mood strikes. 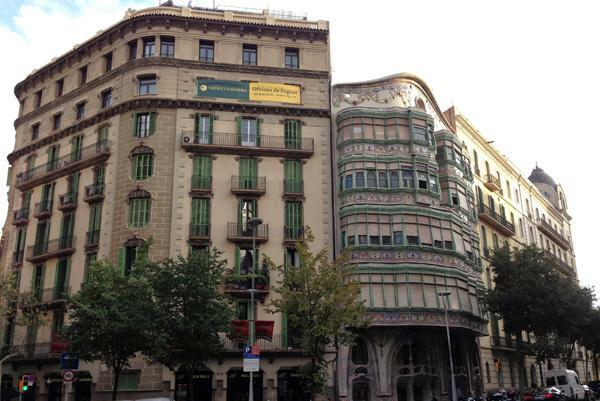 It’s also the place to experience the theatre in Gracia as well as lots of trendy and unique shopping opportunities. Parc Guell is a stunning green space that offers views on all sides, including a variety of breath-taking sculptures from Antoni Gaudi. Small markets, such as Mercat de la Llibertat also dot the neighbourhood, as do small churches in between the residences.